If you garden, you can’t help but to pick up a few favorite plants along the way. This is a sweet experience when that favorite plant is a perennial. You let it slumber through the winter months, knowing it will emerge well-rested and stronger next spring. You hope the same for yourself. Salvia guaranitica 'Black and Blue'. A garden must have in the Garden Drama test garden. It's also a butterfly and hummingbird magnet! 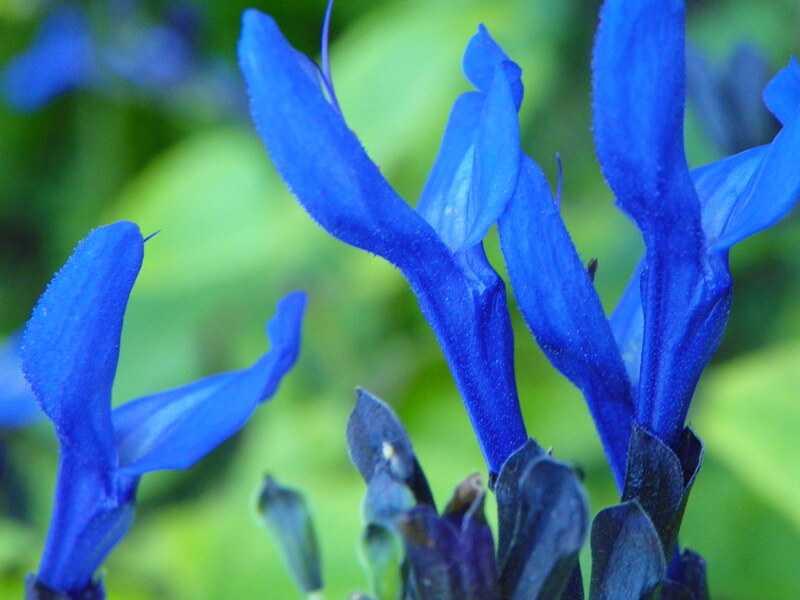 Black and Blue Salvia is a ta-da, wow-pow, must-have sort of plant. Once you have it in your gardening world, it will continue to rock it. It is hardy to zone 7, so all you fellow gardeners who live there, I am jealous. Think of using this beauty as a focal point in your yard. It loves full sun and flowers from mid summer to frost, basically. The flowers are a magical blue with black sepals, making it very striking in your landscape. I will tell you, since I have introduced it into my yard, I have had hummingbirds like never before. It’s also called Blue Anise Sage, and has a lovely licorice fragrance when you touch it. 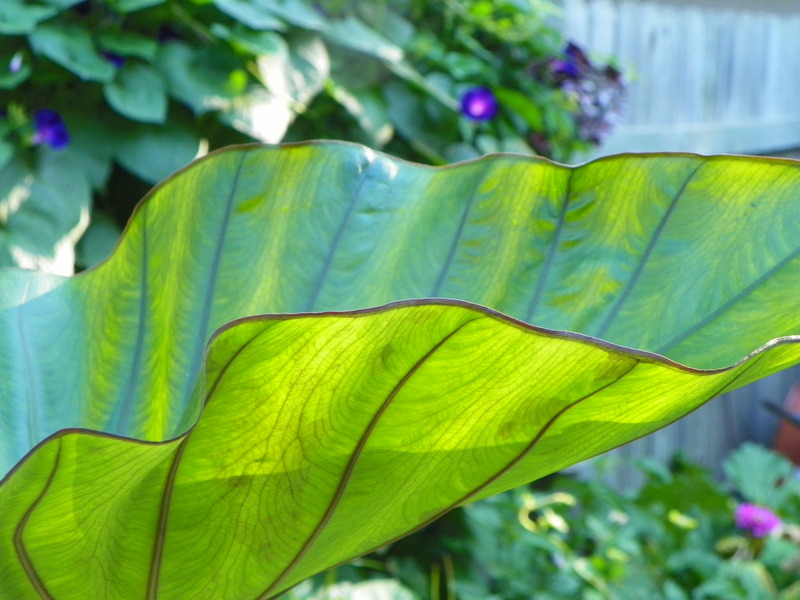 Colocasia 'Coffee Cups' is a fun stunner that can reach six feet and collects water in its leaves. The contrast of its chartreuse leaves to the magenta stems is fabulous. This big fellow for the garden is a fascinating specimen that can live happily with wet feet in your water garden. This plant was discovered in the wilds of Indonesia and though it is an exotic tropical, I can speak to the fact that it melds nicely into the northern landscape. It is tall, striking, likes lots of sun, but will tolerate part sun. Needs plenty of water. My guess is that he will overwinter happily as a houseplant, but I will report back in the spring. Previous Post A great use for all those tomatoes: best tomato soup ever! Those are gorgeous. I cant wait to move out of the desert to have beauties like this of my own! Is it better to start the salvia from seeds or buy a seedling? With our crazy early spring in MN this year and the portable greenhouse I bought my husband we are dying to get started.